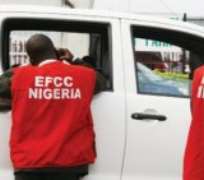 The Economic and Financial Crimes Commission (EFCC) at the weekend arrested a son of a former governor of Abia State, Theodore Orji, Ogbonna Orji. TribuneOnline gathered that the 32-year-old Ogbonna was arrested at a nightclub in Abuja by operatives of the anti-corruption commission. His arrest, according to a source, was a follow up on an investigation of the former governor, who is a serving senator representing Abia in the Upper Chamber of the National Assembly. The source informed TribuneOnline that in the course of investigating the former governor, it was discovered that he laundered money through his sons. According to the source, the sons used part of the laundered funds to purchase exotic vehicles, including a Range Rover worth about N100million. It was gathered that while operatives investigating the alleged money laundering by the former governor made a move to intercept the said Range that Ogbonna was arrested alongside one of his friends. However, contrary to insinuation that EFCC invaded the house of the People's Democratic Party (PDP) presidential candidate, Alhaji Atiku Abubakar, the source informed TribuneOnline that the arrest of the senator's son had nothing to do with the former Vice-President.